We’re getting 2018 going in fine style with a Twitter Tasting featuring The Real McCoy, a wonderfully authentic rum-running brand from Barbados. We’ll be enjoying the opportunity to talk and taste our way through the core range of rums as well as the latest Special Edition (not currently available in the UK), and perhaps a little something else as well… Its also a great opportunity to find out about the famous (or should that be infamous?) Rum Running character: Bill McCoy, from whom the brand draws its inspiration. If you’re looking for a Rum Festival near you, or are looking to combine some rum-travelling with seeing a new part of the world, then you could do worse than check out our compilation of 2018 dates. We sincerely hope to see you along the way! 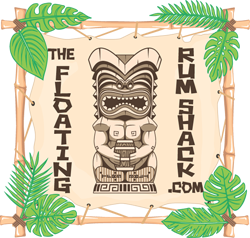 Last year, the first Think RUM event went very well, and I was very pleased to be involved in some small way – presenting on a couple of topics and voicing an opinion or two as a part of a panel discussion. I’m very pleased to be asked back, influencing topics of conversation in the hope that through greater introspection, the category can continue to grow in a more honest manner. La Hechicera, a solera aged rum brand from Colombia (and incidentally, a brand we’ve followed since before they launched), has just celebrated its fifth anniversary and can now be found in 25 international markets. However, in order to launch into the highly competitive US market, they have made a few changes to the way that the rum is presented. Now more than ever enthusiasts are asking (demanding?) more clarity and understanding about how rums are produced, meaning the little-understood process of solera ageing is often a focus of discussion and therefore a perfect fit for our next Twitter Tasting! Press Release: Havana Club is calling for bartenders to help raise money for people in areas affected by natural disasters, and have joined forces with charity #BartendAgainst. I try to point out that the apparently easy/boozy, rum-centric lifestyle I lead is at times quite hard work; early starts, late nights, uncomfortable travel, freelance money, lack of reliable commitments etc… And it’s true. But the flip side it’s not ALWAYS hard work. Sometimes it's bloody amazing and helping to judge the Yaguara ‘Cachaça Me If You Can’ cocktail competition was one of those times! Seems like ages ago that Diplomático Rum announced the release of what they are marketing as the ‘Tradition Range’, which features their flagship spirit: Reserva Exclusiva and two new-to-market expressions, Mantuano and Planas, which are replacing Reserva and Blanco respectively. Their goal to achieve a cohesive look, but with more clear definition of intent across the range. We completely failed to get around to writing this up at the time, but given they have now have the Single Batch Kettle and Single Barbet Column releases, it’s really time to catch up. Press Release: The Caribbean Rum & Beer Festival is heading back to Barbados on 9 December 2017. After spending years away being hosted in Grenada and St Maarten the annual beverage expo is back on home territory.